Food is an unavoidable expense. We all have to eat and none of us really want to skimp on the food we buy. So, how do we realistically trim that area of our budget? Groceries are something we all buy on a regular basis. In fact, according to a Gallup poll, the average young adult American spends almost $9, 000 in groceries each year! So, saving in this area can make a real difference. There are many ways to save money on groceries. First, create a shopping list before you go to the grocery store and stick with it. This will help you avoid impulse spending on items you don’t need. Second, buy produce that’s in season to get the best prices. 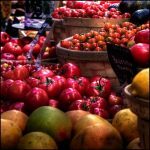 When fruits and vegetables are in season, they are more abundant and cost less. For example, it’s best to buy eggplant in the summer and brussels sprouts in the winter. Here’s a seasonality chart to guide your produce buying. Third, base your shopping on your grocery store’s weekly sales cycle. When your favorite cereal is on sale, buy it in bulk so it’ll last until the next time it’s on sale. Also take a look at the weekly flyer before making your shopping list. You can meal plan based on ingredients that are discounted so that your pantry is full with discounted items. Couponing can often be a time-consuming task, but there are apps that make it easier. Go ahead and sign up for your local grocery store’s rewards card — they are almost always free, and you’ll get to take advantage of extra savings on items. Apps like Ibotta will give you rebates on items you may have already planned to buy. You only need to take a few pictures (of the receipt) and scan the item’s barcode, then withdraw your earnings via Paypal. Lastly, shop whenever the last day of your grocery store’s sale cycle is (mine is on a Wednesday). This day is when store managers are likely to apply further discounts on items that haven’t been selling well. That way, they can clear out the shelves before the next weekly sales cycle. One extra tip: Take advantage of after-holiday sales. For example, stock up on candy after Halloween or buy stuffing after Thanksgiving. 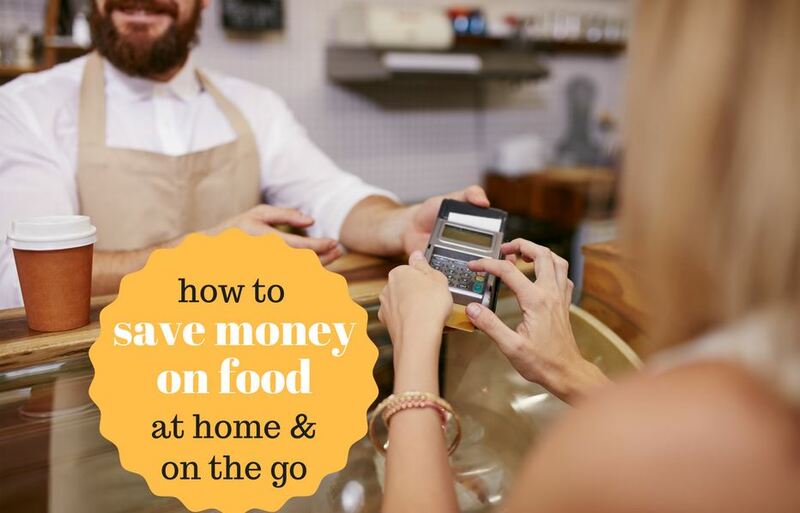 Even if you don’t go out to restaurants often, it’s still worth learning ways to save money in this area for those special occasions. The first way to save is to skip the drinks, soda and alcoholic. Opt for water instead. Not only is it a lot less calories, it’s usually free! Another way to save money at restaurants (if you have children) is to go on “kids eat free” nights. Some restaurants offer special days on which kids meals are free — MoneySavingMom.com has a great master list of these restaurants and which days they offer deals. This can save you a good amount of money, especially if you have multiple children. Third, go out for lunch instead of dinner. Restaurant menus tend to be similar between lunch and dinner, so you can get the same entree. The main differences are portion size and price. Lunch entrees tend to be a bit smaller and cost less. You can have the same restaurant service experience at a fraction of the price if you go at lunchtime instead of in the evening. Lastly, buy discounted restaurant gift cards. You can find gift cards online to your favorite restaurants and land great deals. CardPool.com is one website that offers such deals. You can find $25 restaurant gift cards for as little as $10! That’s a savings of $15 off the bat, just for buying the card instead of paying with cash. Many rewards credit cards also offer discounted gift cards, where you can get more bang for your cashback buck. For example, Discover often offers $25-for-$20 or even $50-for-$25 cards through their rewards portal. Not only are you using cashback rewards (ie: free money), but you’re getting extra free money on top of that! One extra tip: Take full advantage of restaurants that offer free appetizers. For example, some Mexican restaurants serve free tortilla chips and salsa before meals, and Italian restaurants often offer bread. Eating the free appetizers may satiate you enough so that you can order a smaller, cheaper entree. When traveling, choose your hotel wisely to save money on food costs. If the price is comparable to that of other hotels, opt for one with continental breakfast. Having this free meal each day can save you a lot, especially if you have a long stay. If you can, choose a hotel room that has a kitchen in it — or at least a mini fridge and microwave. This will help you prepare meals at your hotel and not have to eat out all the time. While you’re traveling, you may be on the run a lot. To fuel yourself, make sure you pack snacks. These on-the-go mini meals will keep you going throughout the day. They will prevent you from getting hungry to the point where you want to make an unplanned stop at a food spot. Third, buy groceries at a local grocery store. Just because you’re traveling, it doesn’t mean you have to eat out for every meal. You can experience your destination’s culture by buying local groceries that people in that area enjoy. Lastly, just plan ahead. If you know there are certain restaurants you want to go to, make a schedule and budget, and stick with it. Knowing where you want to go and how much you want to spend will save you money by helping you avoid any impulse buys. Food is something we all have to buy, whether it’s groceries, restaurant meals, or food on the go. Finding savings in this category can really add up and help with your budget. Hopefully, you are able to trim your expenses both at home and while traveling using these tips. Do you have other money-saving tips that our readers would find helpful? Share them below! Can You Find a Hobby That Actually Saves You Money? I have found I spend less if I don’t use a cart. If I do use a grocery cart, I place all snacks where a child would sit so I am mindful of the volume of junk food I’m purchasing.